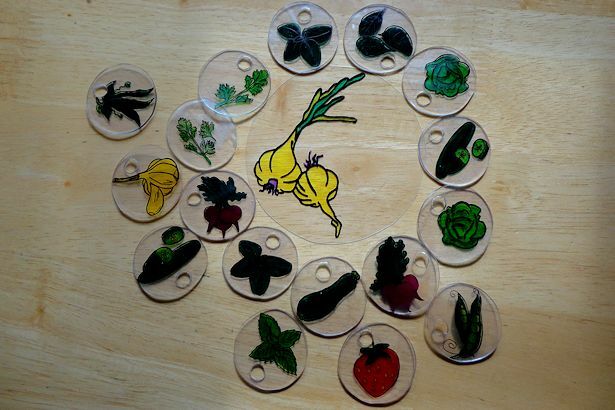 Shrinky Dinks! Shrinky Dinks! Shrinky Dinks! When I was a kid we never did Shrinky Dinks. I have no idea why; it’s just one of those things we never did. 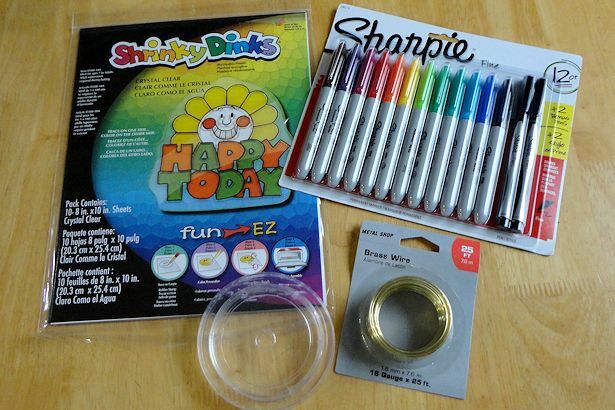 Of course that means that ever since I was a kid I’ve thought that Shrinky Dinks were one of the coolest things ever. 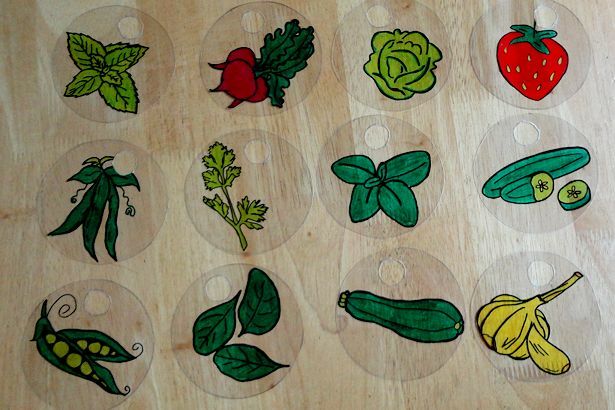 It’s even fun to say: Shrinky Dinks! Shrinky Dinks! Shrinky Dinks! Shrinky Dinks! Shrinky Dinks! 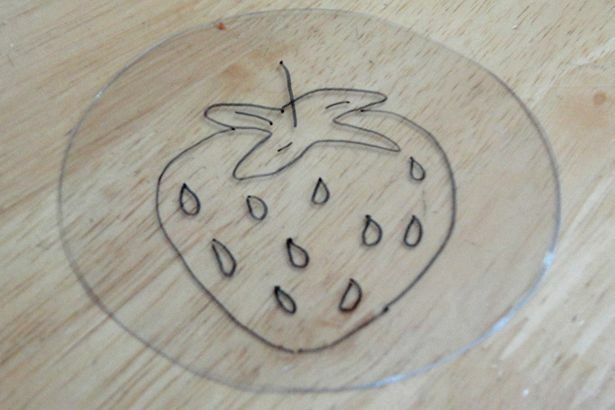 Shrinky… Oops! Sorry – I got a little carried away. Anyway, when my really cool aluminum duct tape plant markers didn’t last as well as I’d hoped – the aluminum duct tape bent in the wind and by the end of the season they looked pretty sad – I decided to replace them. 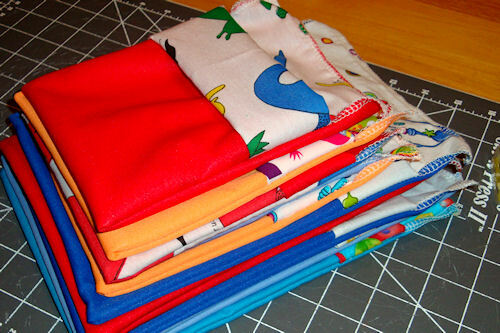 Preferably with something I could make myself. Preferably with something I could make myself cheap. Shrinky Dinks to the rescue! 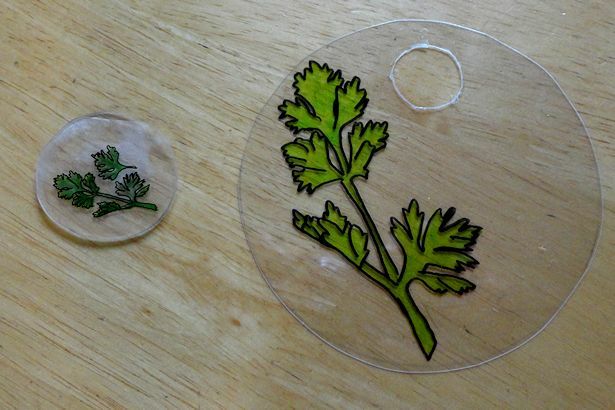 I found directions on Pinterest for DIY Plant Markers with Shrinky Dinks, and I had to try it out. 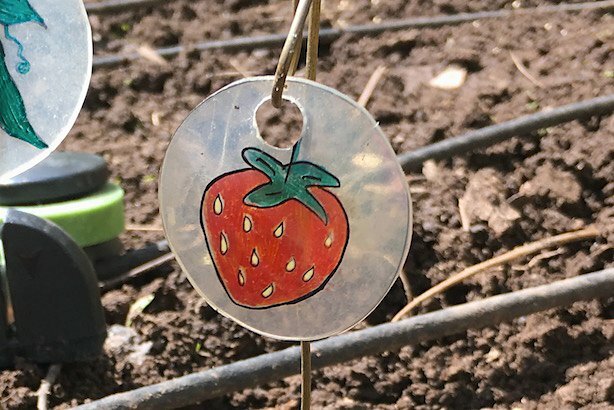 Making plant markers with Shrinky Dinks is super easy, and it doesn’t require lots of materials. 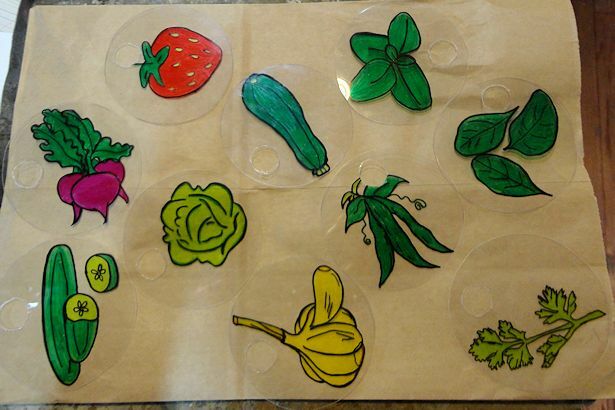 All you need are Shrinky Dinks, permanent markers, and metal wire. 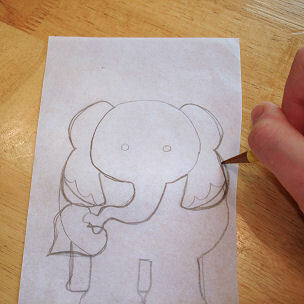 You’ll also need a scissors and something round to trace. I used the top to my Starbucks cold cup. 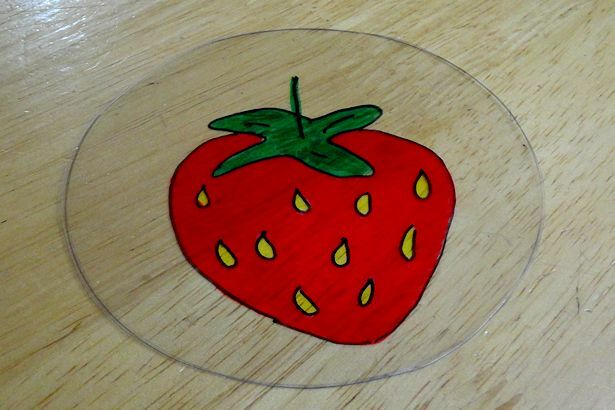 Trace the circular object onto the shiny side of the Shrinky Dink plastic and cut out. 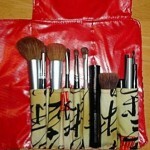 Then draw or trace your picture on the shiny side of the plastic with a permanent marker. Color the picture with permanent markers. I colored on the “back” side to give the plant markers a 3D look after shrinking. Repeat for as many plant markers as you need. WAIT! Don’t bake yet! Did you remember the hole in the top? 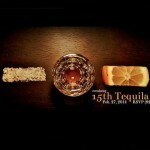 I almost forgot but remembered at the last minute. Here’s a “Before” and “After” comparison so you can see how much they shrink. 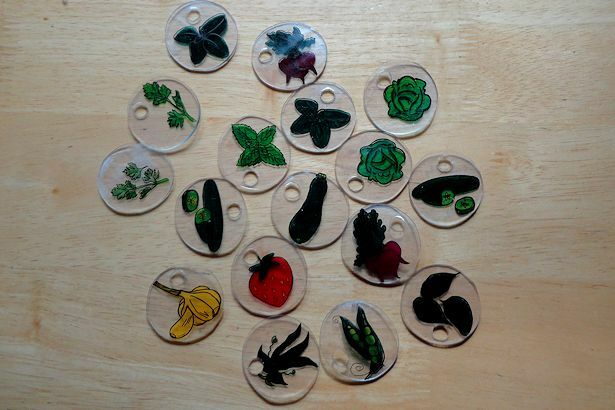 Here are all of the plant markers I made, all shrunk and ready for the next step. Oops! I guess I missed the second Garlic one – into the oven with you, my friend. Using wire cutters and pliers, cut and bend the wire into any shape you like. I like a fancy shepherd’s crook type of shape. 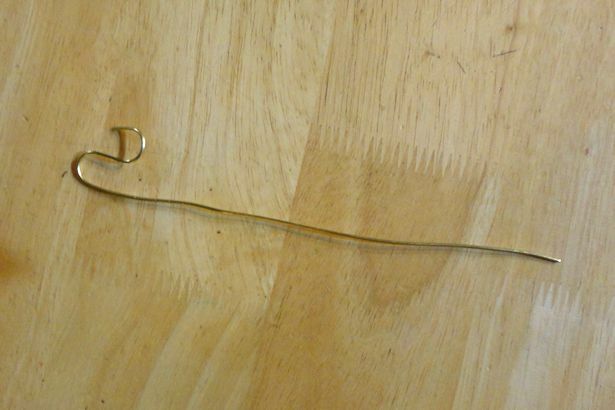 You may need to experiment to find out how long to cut the wire, and the best way to shape it. I discovered that bending it around a pencil was easier for me than using a pliers. And they’re absolutely gorgeous in a garden. Now I just need to plant something for my pretty plant markers to mark!